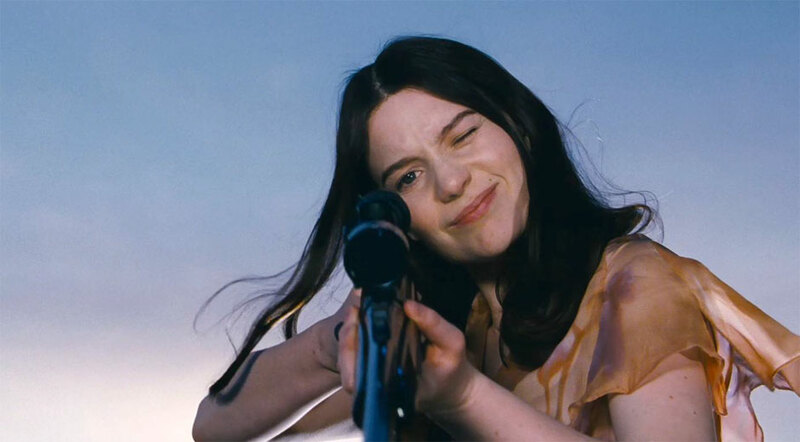 India Stoker: Sometimes you need to do something bad to keep you from doing something worse. STOKER is both bewildering and beautiful from the moment it begins and it doesn’t let go until it is good and ready to be done with you. Chan-Wook Park’s (OLDBOY) first English-language film is a real stunner. 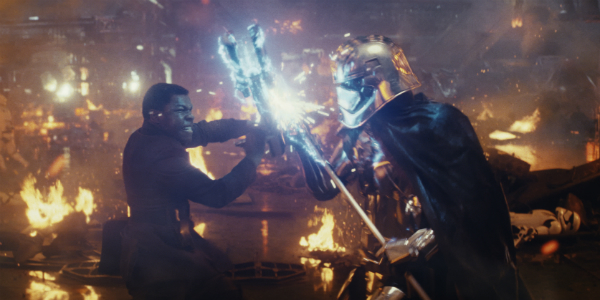 Not only does it constantly delight your senses with its visual prowess and originality, but it also defies what we’ve come to know of the family drama genre. The Stoker’s are no ordinary family and STOKER is definitely no ordinary thriller. In fact, it is simply extraordinary. 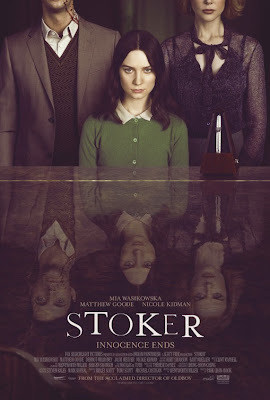 Thanks to an extremely efficient and effective screenplay from first time screenwriter, Wentworth Miller (yes, the “Prison Break” guy), STOKER wastes no time in bringing us to the disturbing junction the Stoker family finds itself at when we meet them. It is India Stoker’s (Mia Wasikowska) 18th birthday and rather than find her usual gift of new shoes from her father (Dermot Mulroney), instead she finds out that he is dead, or more specifically, that he has been murdered. During the funeral, India is introduced to an uncle she never knew she had (Matthew Goode), and told that he will be staying with her and her mother (Nicole Kidman) for an undetermined amount of time, until the family is back on its feet. This proves to be difficult though when the family was never on solid ground to begin with. And the more they try to steady their stance, the more secrets are unearthed from underneath them. As India, Wasikowska centers this film and does so with a confidence that only seems to get stronger and stronger with each of her performances. India has always been something of an odd girl and her uncle’s presence unnerves her for reasons she cannot quite grasp in her mind, but that she feels in her body. Goode’s poised demeanor and disarming handsomeness only further complicate the issue. The games that they play with each other as they try to figure each other out are completely captivating and deliciously devious. There are elements of attraction and respect and fear between them and, once you throw a catalyst like Kidman into the mix, it gets downright disturbing. And while all this finely acted interplay is fascinating to watch, Park’s richly engrossing visual and auditory approach to storytelling elevates STOKER to a place that is unfamiliar, unsettling and ultimately unforgettable.